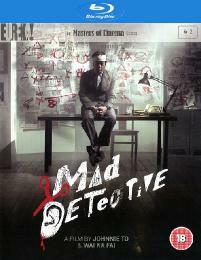 2007's largest grossing film at the Hong Kong box office - the smash-hit Mad Detective - is one of the freshest and most satisfying films from that country in a decade. The traditional Hong Kong police film is turned on its head: the imaginative twist being our hero - Detective Bun (a role created for Lau Ching Wan) - who has the ability to 'see' people's inner personalities or "hidden ghosts". Breaking new ground and establishing new cinematic rules, Johnnie To's latest giddily entertaining collaboration with Wai Ka Fai radically raises the level of storytelling in modern film. 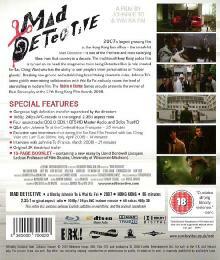 The Masters of Cinema Series proudly presents the winner of Best Screenplay at the 27th Hong Kong Film Awards 2008.